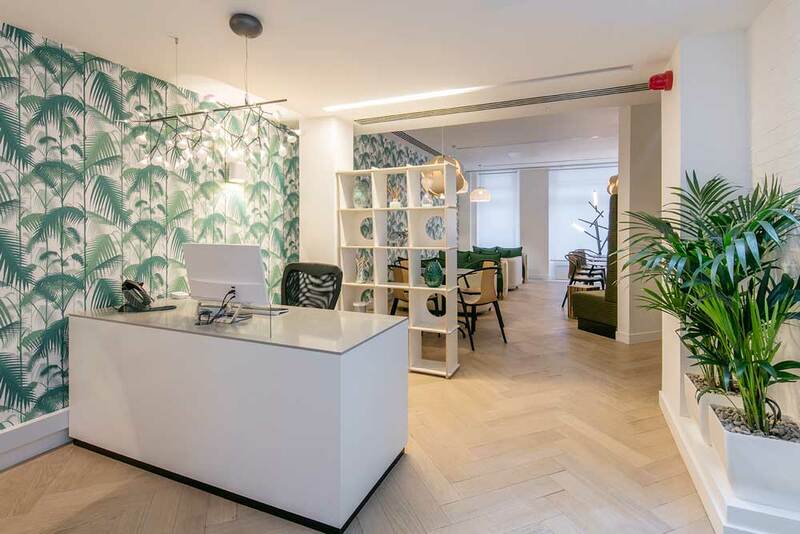 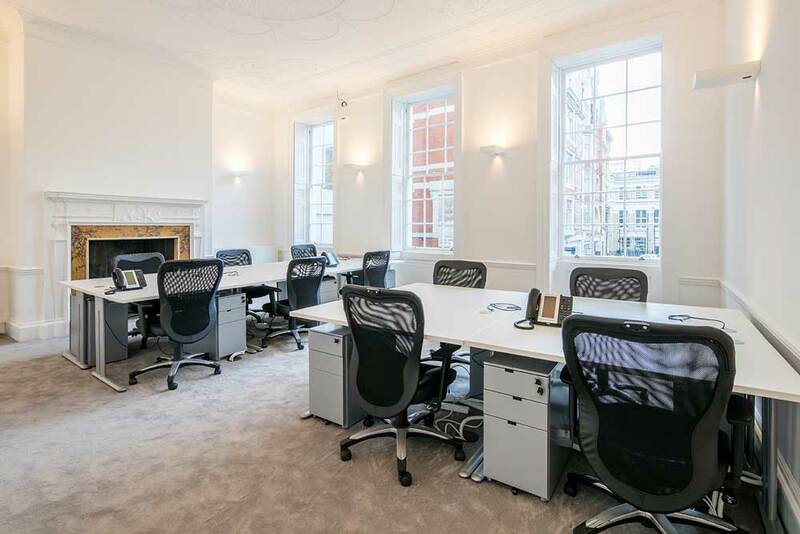 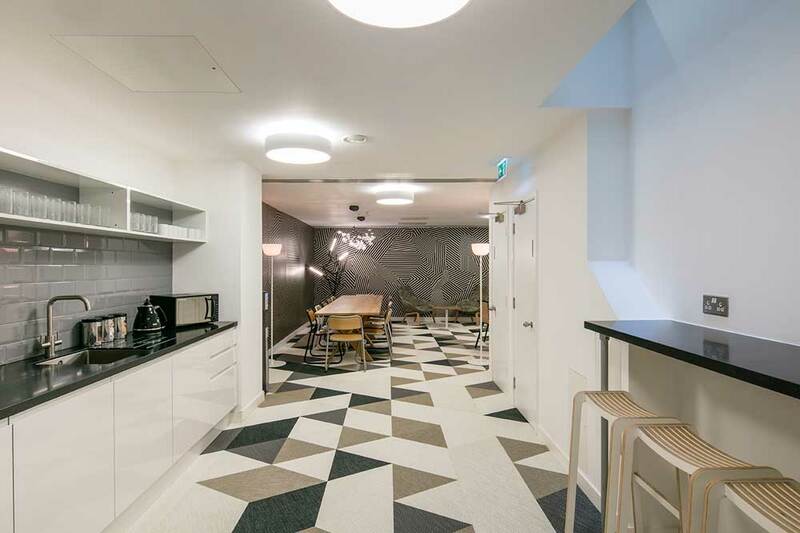 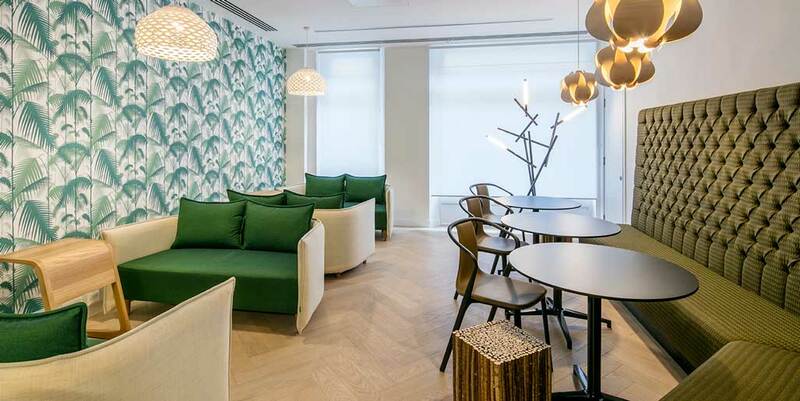 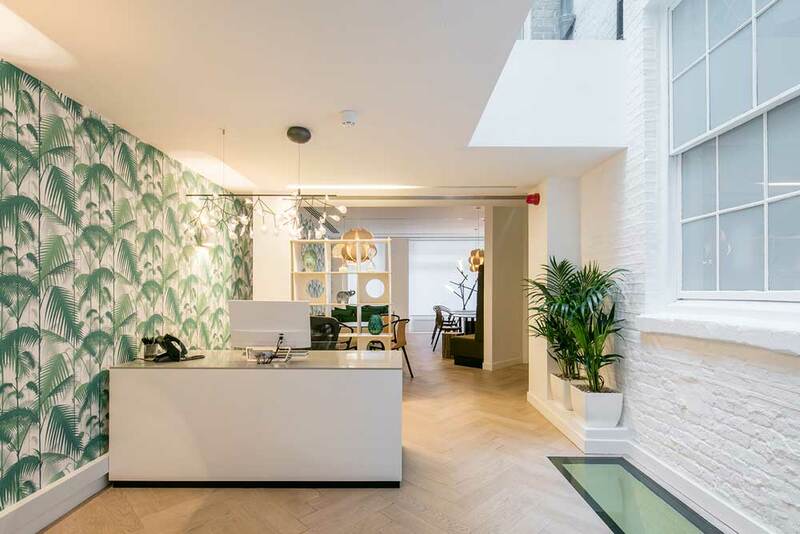 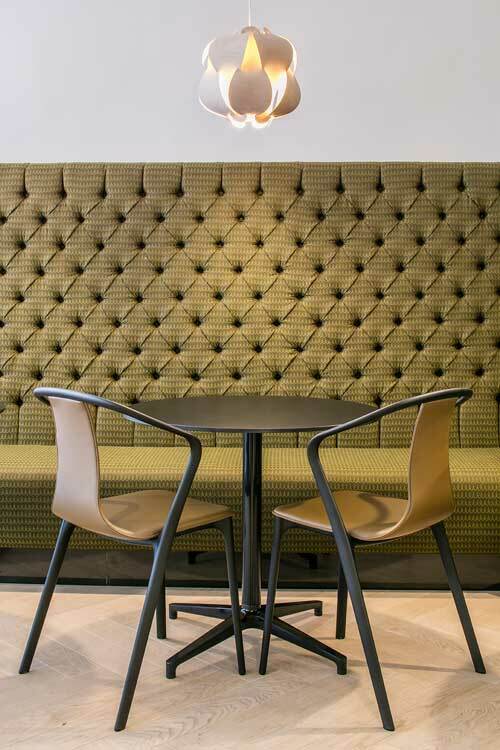 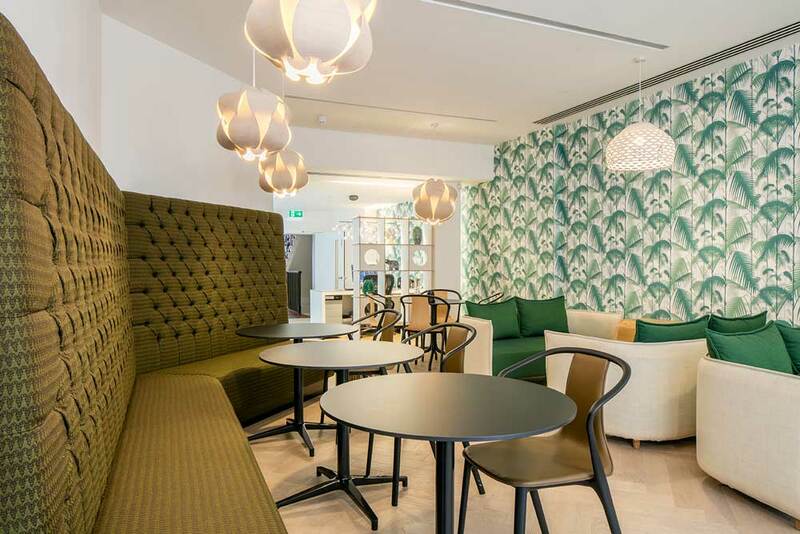 Set in London’s famous Golden Square the building is a typical period property favoured by our client; the brief was to design a series of different collaborative spaces for the occupiers whilst creating a sense of identity specific to this location. 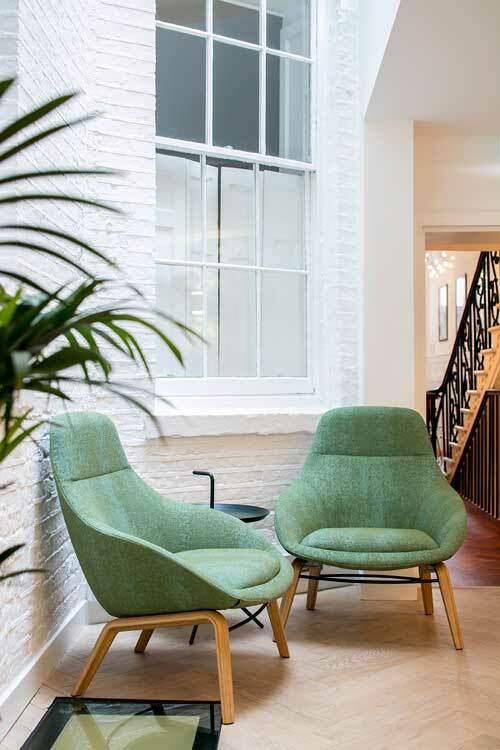 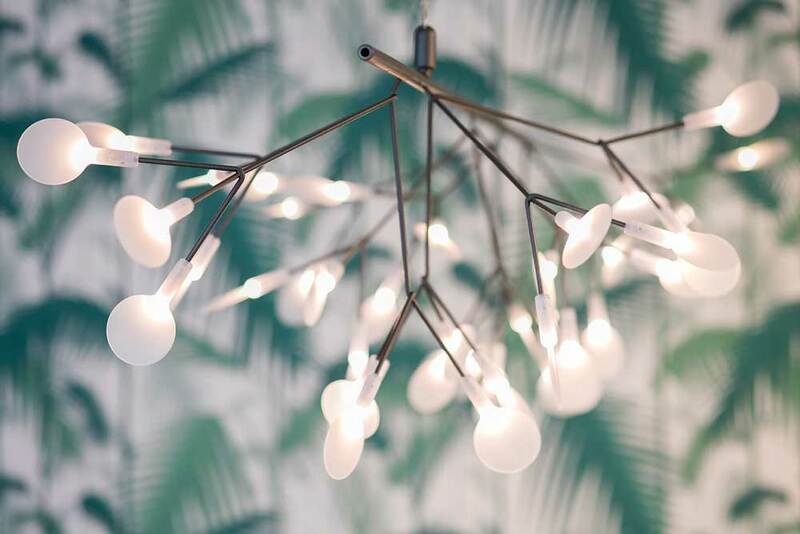 The ground floor has a small light well and we have used plant themes, textures and tones to compliment the space creating a warm, soft and inviting environment. 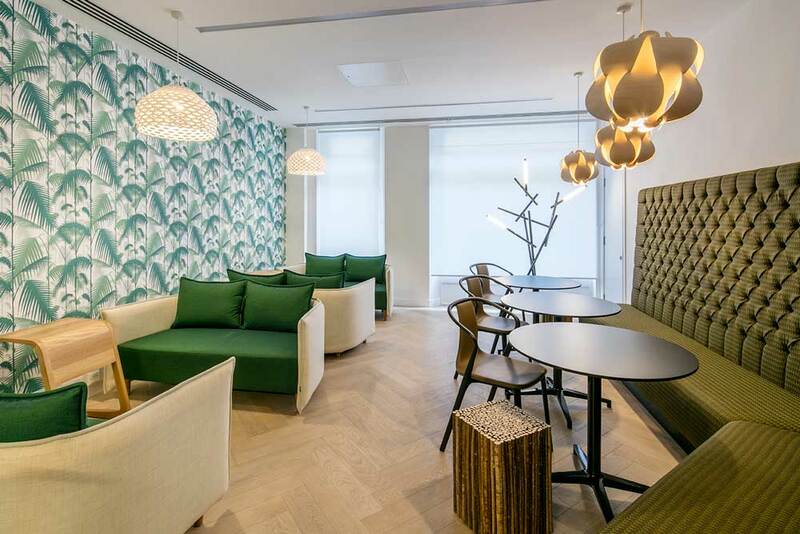 The space houses a small reception and breakout area with a feature banquette seat. 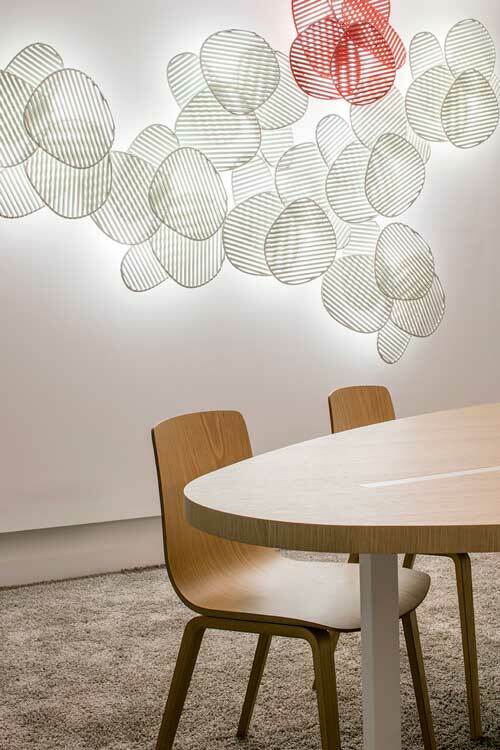 Organic pendant and floor lamps provide sculptural features in the space. 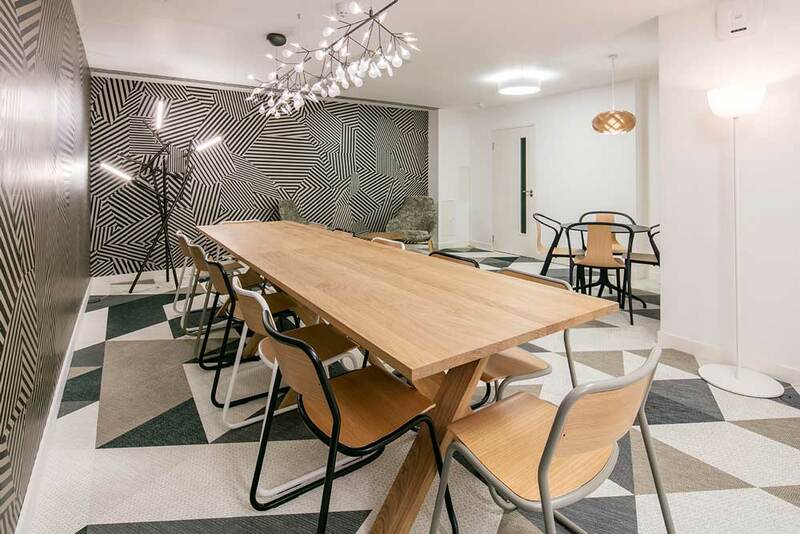 The breakout space is subterranean and we have had to find clever lighting solutions to soften and enhance the space. 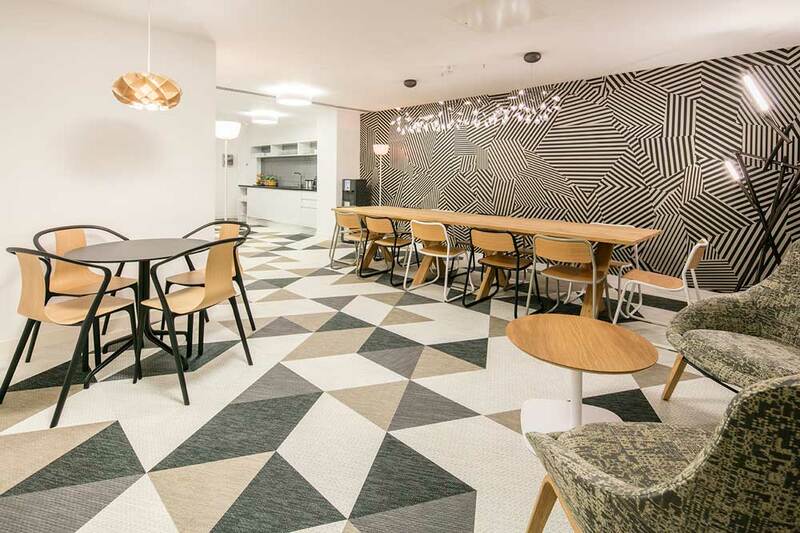 Geometric shapes cover the walls and floors while the use of timber furniture softens the look and feel. 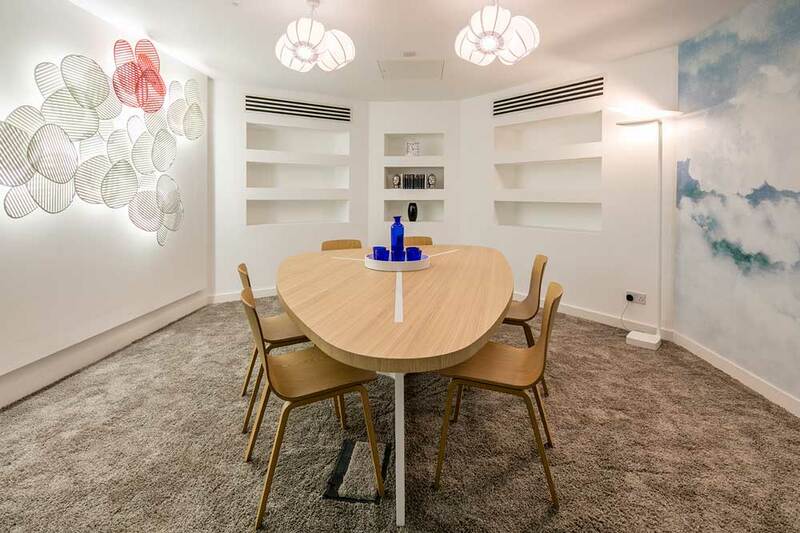 The meeting room focuses on the use of organic forms with a feature wall light installation and cloud skyline providing accent features.